Beisel, David R. THE SUICIDAL EMBRACE: HITLER, THE ALLIES, AND THE ORIGINS OF THE SECOND WORLD WAR. 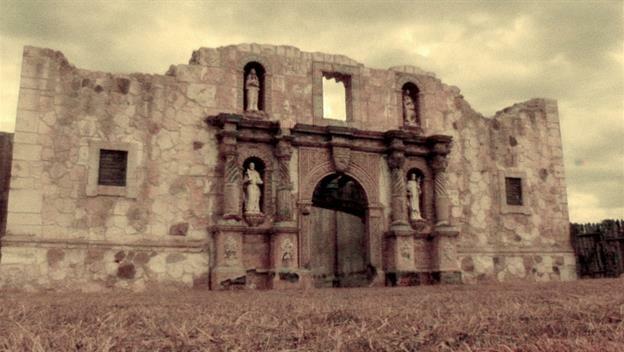 The story of the Alamo is clouded in myths and counter myths. Your personal belief is probably dependent upon your high school social studies education. 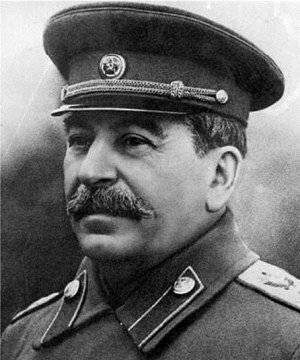 It is a story that most Americans know because of the countless books and films on the subject. What is clear is that, it forms a major component of Texas history. In Stephen Harrigan’s THE GATES OF THE ALAMO we are presented with a new approach to the story through the eyes of fictional characters; Edmund McGowan, a loner dedicated to botanical research; Mary Mott, a widowed innkeeper trying to keep what remains of her family together; her son Terrell, who grows and matures into manhood as the novel evolves. This epic story has been told before, but not in this manner, a blend of astute historical research and fictional imagination that should satisfy all who are interested in the topic. Harrigan begins by introducing Terrell Mott as a ninety-one year old survivor of the Alamo and former mayor of San Antonio attending the 75th commemoration of the battle. From here, Harrigan takes the reader on a journey that integrates many historical and fictional characters as he constructs a fairly objective account of the events leading up to the battle, the battle itself, and what transpired after the bloodshed. The reader is exposed to the Mexican viewpoint through historical characters such as; Colonel Juan Almonte, a member of general Santa Anna’s staff, the dictator himself, Primer Sargento Blas Angel Montoya, a member of the Mexican northern army; to fictional characters, Telesfero Villasena, a Lieutenant in an engineer battalion and Santa Anna’s map maker, and Isabella, a Mayan girl seized by Mexican officers. Among the American settlers aside from McGowan and the Motts the story is conveyed through historical figures like; Jim Bowie, a drunkard and fortune seeker, Sam Houston, a rather two faced politician and Andrew Jackson wan bee, Stephen F. Austin, the most reasonable of the independence movement leadership, Davey Crockett, a Tennessee politician and Indian fighter, and William Barrett Travis, a young man thrust into leadership beyond his capabilities. One of the things that most Americans do not realize is that three-fifths of the continental United States was taken from Mexico during the Mexican War between 1846 and 1848. The issues that led up to the war stem from American colonists who were invited by the Mexican government to settle in Texas in the 1820s. 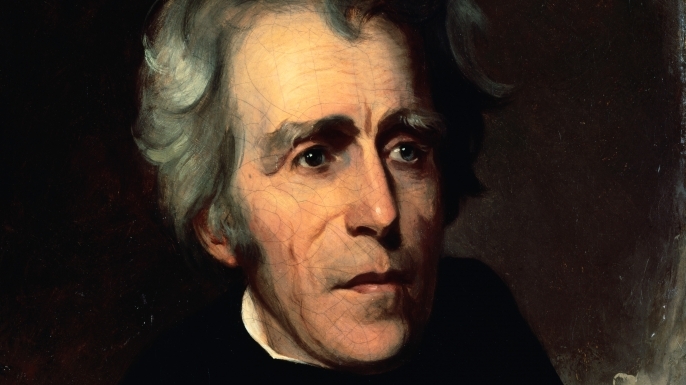 The invitation was contingent upon settler acceptance of abiding by the catholic faith, obeying Mexican law, and not transporting slaves to the new territory. By the 1830s the settlers began to chafe under Mexican restrictions setting the backdrop for Harrigan’s novel. The first half of the book seems as if a storm is brewing. The storm is Santa Anna’s goal of blunting the Texas independence movement. As Harrigan proceeds with his story he does a commendable job; developing his characters, particularly the emergence of a strong bond between Mary Mott and Edward McGowan. In a time period when death is predominant, two lonely people, who have suffered deep personal trauma come together to try and make sense of their surroundings. For Mary, it is the loss of her husband and daughter, and fears about losing her son. For Edmund, it is the creation of a shell around himself because of childhood events and trying to find solace in a world of plants, a world that fills the emotional void in his life. THE GATES OF THE ALAMO is historical fiction at its best. The historical characters integrated among those created provide a realistic account of events as Harrigan leads the reader to the fall of San Antonio de Bexar and rebel control of the former Spanish mission, the Alamo. 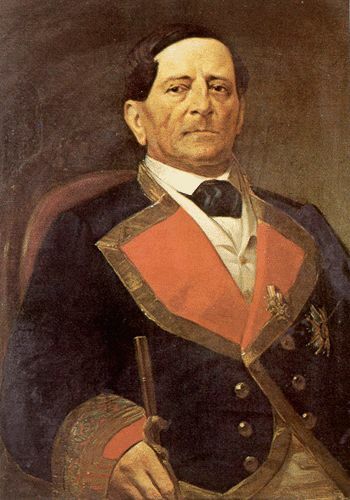 Both the characters and the reader are aware that in a few months’ time Santa Anna will bring a large army to retake it, which dominates the second half of the novel. The rebels do their best to make the mission an impregnable fort, but as history has shown, they failed. Harrigan places the reader inside the Alamo as the Mexican bombardment pounds the fort. His descriptions are extremely realistic and the plight of the Alamo’s residents is clear. He leaves out few details, even integrating Mexican music that was designed to unsettle those imprisoned inside the Alamo, just waiting for the next cannonball. One of the most interesting aspects of the novel is Harrigan’s recreation of character dialogue that occurs when decisions are made. We are inside Santa Anna’s headquarters as he consults with his generals. The reader is a witness to Travis and Crockett trying to figure a way out of their predicament, but whatever they try, is doomed to failure. Harrigan’s novel is a work of fiction, but he must be applauded for the voluminous research undertaken to recreate his subject. Obviously, there is a great deal that he has imagined, but embedded in the dialogue and narrative is a fairly accurate portrayal of events. Further, he does a remarkable job discussing the Mexican and rebel viewpoints, and as things unfold he tries to remain as objective as possible. Most people know how the story concludes in terms of the Alamo, but what they do not know is the fate of the key characters. For this reason alone, Harrigan has produced an air of suspense that should hold the reader, a bonus, because the historical presentation alone makes Harrigan’s effort extremely worthwhile. 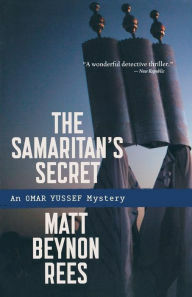 Matt Benyon Rees’ third installment in his Omar Yussef mysteries, THE SAMARITAN’S SECRET, attains the same level of character development, stimulating plot line, and insight into the political and social conditions that form the basis of the Palestinian-Israeli conflict as his first two novels in the series. The story begins in the city of Nablus, located on the West Bank, which was captured by Israel in the 1967 Six Day War. Nablus remained under Israeli occupation until it was returned to the Palestinian Authority, which has governed it since 1995. Nablus has been a hotbed of radical Palestinian nationalism, with a strong Hamas presence which continued even after it split with the Palestinian Authority in 2006. For the Palestinians, even after it was granted autonomy it still felt like they were being occupied by the Israeli army with its numerous checkpoints that had to be navigated on a daily basis. Omar Yussef, a fifty-seven year old, physically unfit history teacher in the Dehaisha refugee camp travels to Nablus to attend the wedding of his friend Lieutenant Sami Jaffari, a Nablus policeman when a robbery is reported at the Samaratin synagogue, a repository for the religious sect’s historical documents. The Samaritans claimed to be descendants from the biblical Israelites and remained in Nablus after many of their brethren were exiled to Babylon. While investigating the break-in, which they learn had already been solved, a murder is reported on Mount Terzim, near the Samaritan temple. It turns out that the murder victim, Ishaq was the son of Jibril Ben-Tabia, the head priest of the Samaritan people. The victim also worked for the Palestinian Authority as the unofficial advisor for the deceased “old man,” a.k.a Yasir Arafat. When in power, Arafat’s financial policy was remarkably medieval, based on the head of the Palestinian Authority doling out funds as he saw fit. It was a corrupt system that members of the younger Palestinian generation and radical elements within the community vehemently opposed, as they hoped to install modern financial institutions once Israel granted them total independence. After Arafat’s death, Ishaq went to work for Amin Kannan, one of the richest men in Arab Palestine. Hamas politics permeate the novel. For example, a wedding was planned for fifteen couples which would allow a radical sheik to address the guests. In reality this was nothing more than a political rally to spread Hamas’ propaganda. Further, the corrupt political establishment of Nablus had far reaching tentacles and Lt. Jaffari feared if he continued his investigation into Ishaq’s murder he might be returned to Gaza, where he was once exiled. Jaffari also feared that his fiancé, Meisour would be denied the necessary papers to travel from Gaza for their wedding. With Jaffari’s reticence to follow leads it fell to Omar Yussef to figure out why Ishaq was murdered, and who was behind it. Rees does a commendable job exploring the political and economic realities that pervade the city of Nablus and other towns under the auspices of the Palestinian Authority. The role of radical clerics, Hamas, and the Israeli army are all major factors in the everyday life of the Palestinian people, and the author integrates them throughout the novel. But for the Palestinians, the corruption endemic to the Arafat regime comes home to roost as the World Bank threatens to cut off aid unless millions of dollars that Arafat dispersed was not recovered- as the money was geared toward building hospitals, schools, and infrastructure projects. To protect the future Palestinian state, the money had to be found. The Palestinian Authority-Hamas civil war keeps resurfacing as the story unfolds and what seems obvious at certain point’s turns out to be totally untrue. Rees is a master story teller and has an excellent feel for the plight of the Palestinian people. He has written a crime mystery, but in reality it is a window into what is truly the historical tragedy of the Palestinian people. In the fall of 1997 two young girls are murdered in the small German village of Altenhain. Eleven years later the convicted murderer, Tobias Sartorius, is released from prison and returns home. During his absence many things have changed, but not the hatred for Sartorius, and villagers are up in arms that he has resurfaced, and many seek revenge. We also learn that bones and a human skull have been located inside a fuel tank found at a construction site where workers were demolishing a former military airfield near Frankfurt. Further, the mother of Sartorius, divorced, named Rita Cramer has been viciously attacked at a North S Bahn train station and has been pushed over a railing onto an expressway, creating a seven car pileup, resulting in Cramer’s induced coma in an ICU unit at a local hospital. 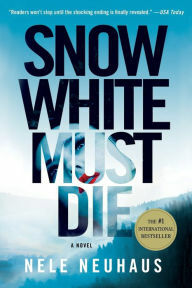 These incidents form the backdrop for Nele Neuhaus’ novel SNOW WHITE MUST DIE which was originally published in Germany in 2010. Neuhaus is a German mystery author who has created a series of detective novels that feature the work of Pia Kirchoff and Oliver von Bodenstein of which the current book is the first. The plot that Neuhaus creates is very complex as the two detectives believe that the three incidents that have been mentioned are all related. The old tensions from September 6, 1997, the date of the original murders are reignited as new evidence emerges, in addition to what appears to be another murder in November, 2008. Villagers are convinced that Sartorius has struck again, and this time they will make him pay. Neuhaus creates an interesting cast of characters apart from the villagers. Police and government officials are intertwined within the plot which produces numerous surprises. The detectives themselves are a study in contrast ranging from their socioeconomic backgrounds, love lives, and approach to police work. The detectives have to cope with a number of subplots as they uncover the truth of what occurred earlier, and what was occurring in 2008. Originally Sartorius was found guilty based on circumstantial evidence and sent to prison. The problem for Sartorius was that he was drunk during the original murders after attending a village fair. He suffered from a two hour gap in his memory which he claimed was blocked, and could not remember what had occurred. Once he returns to Altenhain, the only person who will pay attention to him is a young Goth looking girl, Amelie, who looks eerily like one of the murdered girls. The role of Claudius Terlinden, who seems to own the village, his autistic son Thiers, Gregar Lauterbach, the German Cultural Minister in Wiesbaden, the actress Nadia von Bredow, Oliver von Bodenstein’s wife, Cosima, and the psychiatrist, Daniela Lauterbach, all fit into the separate subplots that percolate throughout the story. The reader will be challenged to try and discern where the plot is going on numerous occasions and each time you think you have solved the mystery it takes an unexpected turn. Neuhaus is a master at keeping the reader guessing and she has written a thriller, with wonderful characters, that produces a totally unexpected ending. I recommend this book highly and can’t wait to begin, BAD WOLF, the second installment in what promises to be another page turner. Like all wars before it, the war in Iraq has spawned its own literature. In Vietnam the war produced the likes of Philip Caputo and Tim O’Brien. 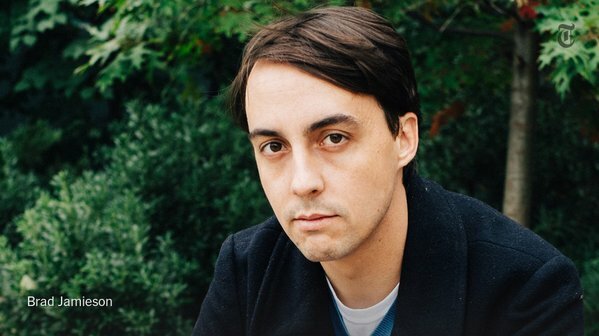 Today as our current conflict has morphed into the war against ISIS, writers like Matt Gallagher have come on the scene with novels like YOUNGBLOOD, which takes the reader inside a platoon in the town of Ashuriyah, outside of Baghdad, when the optimism spawned by the “surge” gave way to skepticism about the war, and as we know the rise of ISIS and the American withdrawal in 2011. 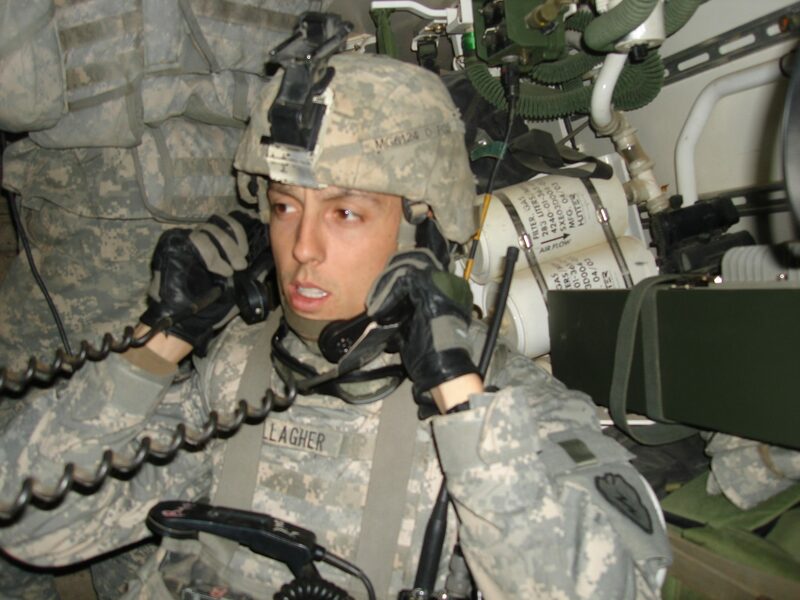 When stationed in Iraq, Gallagher began writing in his own blog from inside the war that attracted a large following. Military authorities eventually shut down Gallagher’s blog, but his new novel has allowed him to express many of the feelings and emotions of his characters, many of which, I am certain, are composites of the men he served with. The narrator of YOUNGBLOOD is Lieutenant Jack Porter, and through his voice Gallagher expresses the view that “so little of Iraq had anything to do with guns, bombs, or jihads.” The novel portrays a war that encompasses the locals and their lives, as they try and cope with a form of hell that has destroyed their way of life. It comes across as a confusing and angry conflict which continues to this day with little understanding on the part of the people who are responsible for the mess that Iraq has become, as many of them are now calling for the United States to dispatch even more troops to the region. The American mission after years in Iraq had evolved into, “clear, hold, and build, a motto that was extremely difficult to implement successfully. Porter faces a number of obstacles as a platoon commander. First, he had to deal with bribery and the overall corruption that existed. American military payments were made to numerous groups including sheiks, both Sunni and Sh’ia, and militia leaders in order to combat al-Qaeda, and other groups to obtain their loyalty. Further payments went to Iraqi families that were victims of collateral damage, even more money flowed to projects to rebuild Iraq’s infrastructure, but it seemed that little was being built. Porter’s second problem was Sergeant Daniel Chambers, a military lifer who had already served tours earlier in the war. Chambers had been foisted on Porter by his superiors and his demeanor and discipline became a threat to Porter’s command which undermined his relationship with his men. Once Gallagher introduces his main characters we learn that Chambers may have been involved in the killing of two unarmed Iraqi citizens who were mistaken for jihadis the military was looking for. Porter wants to prove that Chambers had violated the rules of engagement and begins to investigate the shooting in the hopes of getting rid of the ornery sergeant. A second major plot line is Porter’s relationship with Rana, a local sheik’s daughter. Rana, who was involved with an American soldier who converted to Islam, and wants to marry her, is killed. It is left for Porter to pick up the pieces. As the novel evolves, Gallagher integrates past events as a means of trying to understand the present. 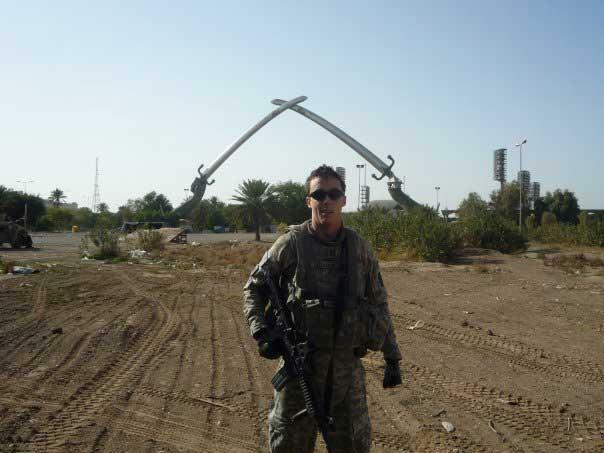 His relationship with his brother Will, a West Point graduate who served in Iraq, and his girlfriend Marissa, who seemed to have drawn away from him, play on Porter’s mind throughout. The reader acquires a strong sense of what it is like to be a soldier in Iraq. The fear of death, having the Stryker vehicle you are riding on set off an IED. The friendships that result in sick jokes, games and other amusements that fill the void of limited down time. The exhaustion of carrying 60 pounds of body armor and weapons during patrols or having to maintain a sharp focus for long periods as they try and survive. Gallagher writes with verve and humor as he tries to convey Porter’s experiences, who is fully aware that no one will understand him, not his brother Will or his girlfriend Marissa back in the United States. Porter must live with his memories as he faces the reality of war each day, a war where he exhibits empathy for the Iraqi people he comes in contact with, and the men he commands. The end result is that Gallagher portrays the horror and inequities of war, and how it has eroded the fabric and foundation of Iraqi society. After one puts the book down one wonders what will be the final chapter for Iraq as a nation, as it continues to struggle with sectarianism, a corrupt political system, the constant threat of violence, and the legacy of the American invasion. In 2011 the Pulitzer Prize Winning historian Taylor Branch wrote an article for THE ATLANTIC entitled “The Shame of College Sports” that finally blew the lid off of the NCAA reign of terror of “student-athletes.” In it, Branch noted that the majority of athletes that played football and men’s basketball were African American. Further, he noted that the NCAA lets off “the unmistakable whiff of the plantation.” Coming at the same time as a PBS Frontline episode “Money and March Madness” the NCAA’s reputation suffered greatly and they were forced to answer to the public for a great number of their policies that the article and television program exposed. The NCAA practices and their rationalization for their numerous rules are exposed further in Joe Nocera and Ben Strauss’ new book INDENTURED: THE INSIDE STORY OF THE REBELLION AGAINST THE NCAA. The authors’ approach is damning to the decades long reign of the NCAA as they describe the enforcement of rules and regulations with seeming blindness to the effects they have on the athletes and their families that they are expected to regulate. Nocera and Strauss discuss the different heads of the NCAA and what emerges is a consistent refusal to reform and change policies that were drawn up in the 1950s that have destroyed numerous lives. The authors trace the development of the NCAA from its beginnings to the era of mega revenues that have economists, politicians, educators, sportswriters, legal scholars, and numerous others referring to it as a cartel that has spent most of its time ruling college sports, but at the same time being exempt from anti-trust legislation. The book itself could serve as a legal brief against the NCAA as it delineates numerous practices that are detrimental to the athletes they supposedly supervise. The book is organized into a series of chapters that examine a specific problem with the NCAA. Each chapter is preceded by a short rendering of a particular case that the NCAA pushed against a particular athlete, their families, or a coach and how they ruled unjustly, and at times unethically. At issue throughout the narrative is the concept of the “student-athlete” that the NCAA created to justify its actions. The core of the argument against the NCAA rests on a number of areas. The lack of health insurance for athletes, particularly when they are expected to train during the off-season and suffer injuries which can cause them to lose their scholarships. Another area is the practice of having to renew their scholarships each year and how coaches manipulate this practice to gain more scholarships for recruits. The lack of stipends to assist students who have little or no money for laundry, food outside the cafeteria, and assist them with supplies needed for class is a major issue when university programs are reaping millions of dollars because of the athletes, but the athlete themselves receiving nothing from their labor. The labor of which is roughly 40 hours a week or more for individuals who play Division I sports of which I am personally knowledgeable since my son played Lacrosse at that level and he did most of his class work after midnight. The lack of academic support for college players is a travesty, for example, some coaches would hold back the distribution of textbooks until they were satisfied with on field performance. Lastly, probably the most egregious actions by the NCAA is that their investigative process is dominated by fear. Since they do not have subpoena power they will use any method to gain information, a process that allows them to bribe people for testimony, accept the statements of witnesses who are stretching the truth to achieve their goal of prosecuting a particular athlete, among other strategies to make athletes ineligible. Athletes seemed to always make the mistake of assuming that their schools would support them when the NCAA investigated, a major error, as all the schools cared about was their own welfare. The authors provide all the relevant statistics to support their conclusions. College sports generates about $13 billion a year, more than the National Football League. Though there are 460,000 NCAA athletes engaged in 24 sports, the book focuses in on about 15,000 who play the most revenue driven sports, football and men’s basketball. While the NCAA uses their self-serving definition of amateurism to reinforce and justify their policies, the amount of money they bring in because of these supposed “amateurs” makes one accept the idea that these athletes are indentured servants. The historical definition of an indentured servant is “a person under contract to another person for a definite period of time, usually without pay.” As used historically that person is working for passage to another country or maintenance. In the case of the NCAA, athletes seem to be indentured servants, but they are not being maintained properly if they are not provided full health care and food. Based on the article by Taylor Branch there is a racial component to this process. A large majority of athletes come from poor black families who live close or under the poverty line. Many of these athletes need remedial education which most universities do not provide, but what they do provide as is evidenced by the University of North Carolina African American history program are “caned” courses where students did not have to attend classes but received passing grades. This went on under the rule of Coach Dean Smith, regarded as a deity in Chapel Hill and of course was white. If we turn to the UCLA basketball program under John Wooden, considered a “basketball god” as he earned 11 national basketball titles between 1965 and 1975 overseeing numerous infractions, (i.e. ; builder Sam Gilbert was paying his players), that the NCAA let slide because he brought in money, and yes he too was white. The stories Nocera and Strauss bring to the fore are mostly black athletes who seem to be persecuted by the NCAA. The growth of revenue at such an exponential level is amazing to this reader. It all relates to the commercialization and corporatization of college sports. The creation of ESPN in 1975 and its later offshoot channels, ESPN2, ESPNU, and ESPN Classic created the need for more and more programming, roughly 8000-10,000 hours a year. Billion dollar contracts have followed over the years and universities rebelled against the NCAA as they believed they could make more money. Their individual conferences, beginning with the Big 10 decided to create their own networks and negotiate with ESPN, the major networks, and the new sports channels themselves to get a bigger share of the pie. Once the Big 10 was successful then other conferences like the PAC 10, ACC, SEC and others, did the same. The result has been musical chairs for universities as the conferences lured schools with the promise of increased revenues to the detriment of schools with weaker athletic programs who could no longer compete for the funds needed to keep up with the new arenas, stadiums, and other facilities of the larger newly realigned programs. 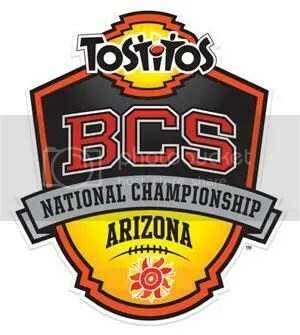 It is obvious that college sports has become a multi-billion dollar enterprise with March Madness, the BCS playoff system for college football, as well as all the other bowls that have corporate sponsors. My favorites include the Buffalo Wild Wings Citrus Bowl and the Go Daddy Bowl, and I wonder in the future if the NCAA will offer a Kohler Toilet Bowl. Aside from the commercialization off college sports, the next motivator for athletes to try and be heard was the proliferation of concussions that have led to CTE in former players. College football’s “concussion protocol” was non-existent and finally Northwestern Quarterback Theodis Colter began a movement to unionize Northwestern football players with the creation of the college Athletics Players Association. The organizing of college basketball and football players had been burgeoning for a number of years due to the inequities already discussed, but it seemed that the concussion issue pushed some over the edge. 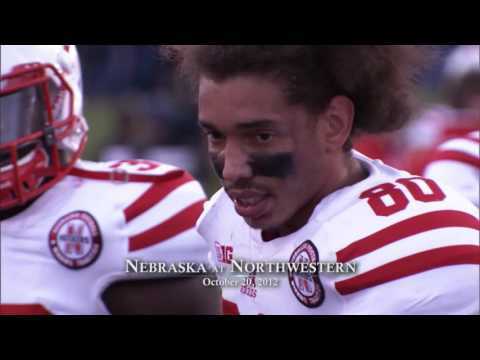 After the National Labor Relations Board recognized the players right to unionize a vote took place in April, 2014 to approve the unionization of Northwestern players. 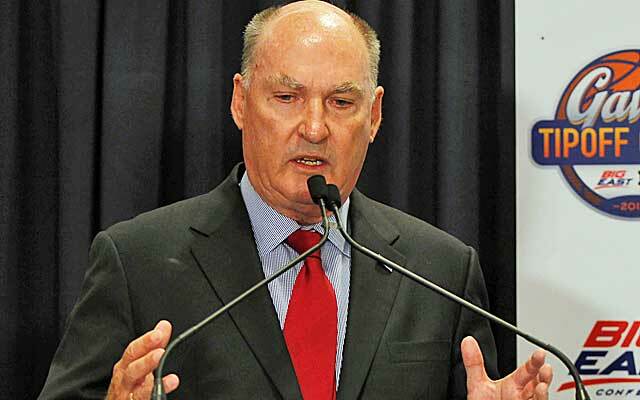 After tremendous pressure from alumni and a calculated effort by the Northwestern administration to convince players what they could lose if they voted yes, the players voted down the union concept. One of the most interesting cases involves whether the “image” of an athlete can be used as a commercial product after the athlete graduates (and is enrolled) since that image generates millions of dollars from the likes of EA Sports and other corporations. 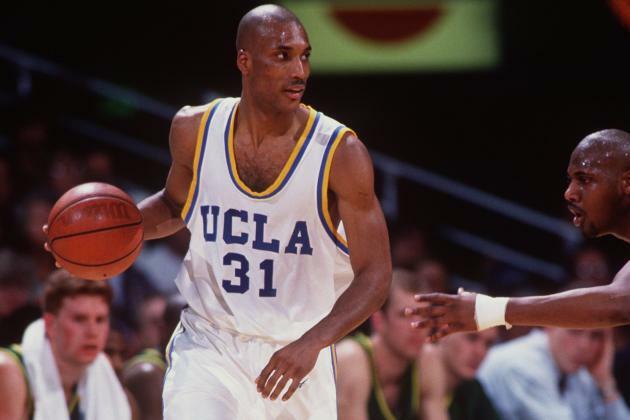 Ed O’Bannon, a former UCLA basketball player has sued the NCAA and the authors delve into the legal fight and the nuances and strategies pursued by both sides of this case as they do with a number of other cases throughout the book. The O’Bannon case is extremely important because it finally showed that their business model of “amateurism” was no longer tenable. It must be asked why college book stores that sell the jerseys of players, and make enormous sums of money, do not share their profits with the athletes who wears the jerseys that make sales possible. As the O’Bannon case court hearings evolved, Nocera and Strauss reintroduce a number of characters that have been discussed throughout the book. Men like James Delaney, head of the Big 10, Sandy Vaccaro, a major figure at Nike at one time, Jerry Tarkanian, former head basketball coach at the University of Nevada at Las Vegas, Andy Schwarz, an economist, Ramogi Huma, a former player and activist for player rights, Mark Emmert, head of the NCAA, and the work of Walter Byers who developed many NCAA rules and regulations among numerous others. The Final decision in the case struck down the NCAA concept of “amateurism” and promoted reforms for the benefit of the players, many of which the NCAA supported, but this did not stop the NCAA from appealing the decision even though they could remain a cartel whose prerogatives were only tweaked. But the NCAA and its member schools began tripping over themselves as they tried to institute reforms to benefit the players and as the author’s argue in their closing chapter, “the sky did not fall,” even as the cost to universities for health care, guaranteeing scholarships, and a cost of attendance stipend increased. In reality, revenues for college sports “kept rolling in” to cover these new benefits, in addition to producing further revenues above these new expenses. If an athlete sought to try and get legal redress it was very difficult as the NCAA would rarely settle a lawsuit and its strategy rested on legal obstacles dragging cases out for years. Since they had the greater resources, few would challenge them. The key to any reform is for university presidents to grab control of college sports from their athletic directors. However in a system where some athletic programs, i.e. ; Louisiana State University brings in 25% of the schools revenue, school presidents are not likely to push too hard. The bottom line that emerges from Nocera and Strauss’ excellent research is that “student-athletes” do not control their own lives while they are indentured as college athletes. If the reader wants to delve further into the debate they include an appendix that present documents that are germane to the material presented in this very readable book. The 20th century was greatly affected by a number of prominent families, but aside from the Roosevelts, few stand out more than the Churchills and the Kennedys, and their relationship with each other. The interactions between these two families forms the core of Thomas Maier’s recent book, WHEN LIONS ROAR: THE CHURCHILLS AND THE KENNEDYS. The book explores the different dynamics that existed between the two families and the world around them, be it political, financial, personal, and too often, sexual. The result is a historical work that at times seems peppered with a bit too much gossip. As I examined the book I wondered if the author had unearthed anything of substance. Tackling a topic that has been mined by many excellent historians, it seemed to be a difficult task. Concentrating on the relationship between fathers and sons; Winston Churchill and his son Randolph, and Joseph P. Kennedy and his sons Joe Jr. and John, the author provides a glimpse into both families and the intensity of their relationships. The most interesting facet of the book involves how both fathers had such grandiose hopes for their sons, but in both cases, the fathers were to be disappointed. Randolph spent much of his life trying to emerge from the shadow of his famous father, while remaining loyal to him. At times father and son would grow to resent each other, Winston disappointed by his somewhat alcoholic and womanizing son who would never reach the heights that were expected of him. Joseph Kennedy’s disappointment revolved around the agony of losing his eldest son Joe Jr., whose naval bomber was shot down over England. Unlike Winston, the senior Kennedy, would be rewarded when his second youngest son, John Fitzgerald would become a war hero, and successful politician who would be elected president in 1960. Maier provides the background story of each family that has been told many times before. His biographical sketches of Winston and Joseph Sr. present nothing substantially new, but it should prove helpful for the general reader. The most important component is how the two families become dependent on each other. Maier begins in 1933 with the first meeting of Winston and Joseph Sr., as both men were allies when it came to prohibition. The senior Kennedy hoped to procure a deal to acquire the distribution rights for English gin and other liquors in the United States as prohibition was coming to an end. Kennedy would use his close relationship with Franklin D. Roosevelt’s son, James as a conduit to his father and a budding relationship with Churchill to achieve his goals. Kennedy achieved an economic coup as he set up a company called Somerset importers and landed the contract to distribute Dewar’s scotch, Gordon’s gin and other important liquors. Maier reviews the instability of Churchill’s income in comparison to Kennedy, particularly when he was out of power. Churchill had to rely on his writing and the “gifts” of rich friends to survive a lifestyle he could not afford. One wonders if the future Prime Minister benefited in any way from the future Ambassador to the United Kingdom. For a wonderful discussion of Churchill’s finances see the new book NO MORE CHAMPAGNE: CHURCHILL AND HIS MONEY by David Lough. 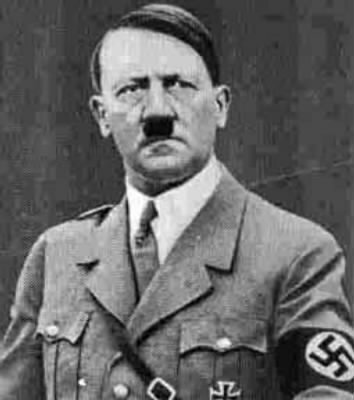 Maier examines the different responses taken by both families to the rise of Adolph Hitler to power in Germany. Both Churchill and Kennedy offspring follow the leads of their fathers. Randolph would mimic his father’s preparedness views and the fear that war with the Nazis was inevitable. Joseph Jr., then a student at the London School of Economics conformed to his father’s views about the Nazis, even expressing a certain amount of anti-Semitism. John F. didn’t toe the line as much as his elder brother and more and more he came around to Churchill’s viewpoint. A tendentious problem developed between the fathers as how to approach the militarization and expansion of Nazi Germany. Once the war broke out and both men were in positions of power, the diplomatic rift between the two was exposed as Kennedy seemed to rely on Charles Lindbergh’s opinion of the Nazis, and his own fears of war and how it could affect his son’s futures. Kennedy’s overt support for appeasement throughout his stay in London created a great deal of tension between the two men. Churchill was careful of not pushing Kennedy too far because he realized how dependent he was on the creation of a “special relationship” with the United States, especially after the Nazi seizure of Holland, Belgium, and France in 1940. Behind the scenes we are told the story of how FDR manipulated both men and how the president could no longer tolerate an ambassador who was undermining his foreign policy, a story that Michael Bechloss has told very effectively in his book, KENNEDY AND ROOSEVELT. The one major criticism of the book I would raise is the amount of racy information Maier either states or suggests. The reader is presented with a series of love triangles, affairs, and the sexual needs of the different characters that appear in the narrative. 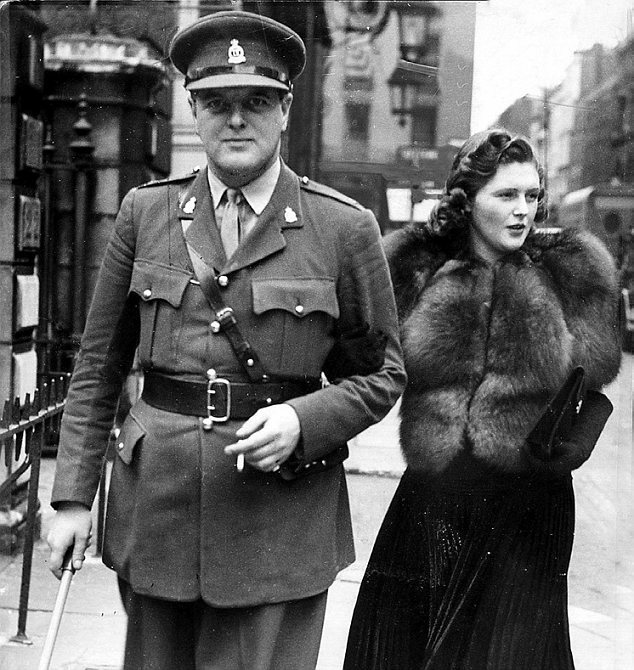 Randolph Churchill’s wife Pamela is involved with FDR’s personal liaison to Churchill and later Ambassador to the Soviet Union Averell Harriman, Edward R. Morrow of CBS news, among a number of prominent historical figures. The affairs of Clare Booth, writer, politician and future husband of Time magazine magnate, Henry Luce, with Joseph P. Kennedy, Randolph Churchill, the American financier Bernard Baruch and numerous others is over the top. In addition, Sarah Churchill’s relationship with Joseph Kennedy’s replacement as ambassador to the United Kingdom, John G. Winant, and of course Maier cannot leave out the dalliances of John F. Kennedy and after a while, I wondered what purpose this information plays, if not just to spice up a historical narrative that should stand on its own merits. To his credit Maier distills a number of situations that have remained obscure over the years. Perhaps the most interesting is that of Tyler Kent, a code clerk in the American Embassy in London under Kennedy’s ambassadorship. Kent was stealing documents and funneling them to a right wing group in England, conservative pro-Nazi politicians, and the Nazi government. Documents included sensitive communications between Churchill and Roosevelt among others. Scotland Yard and MI5 surveilled Kent and Kennedy for over seven months. Once Kent was arrested, Maier, quite accurately describes Kennedy as an inept administrator who worried more about how things affected the “Kennedy Brand” as opposed to the damage the fiasco caused the war effort. Kennedy would emerge totally discredited, which reinforced FDR’s negative view of him. 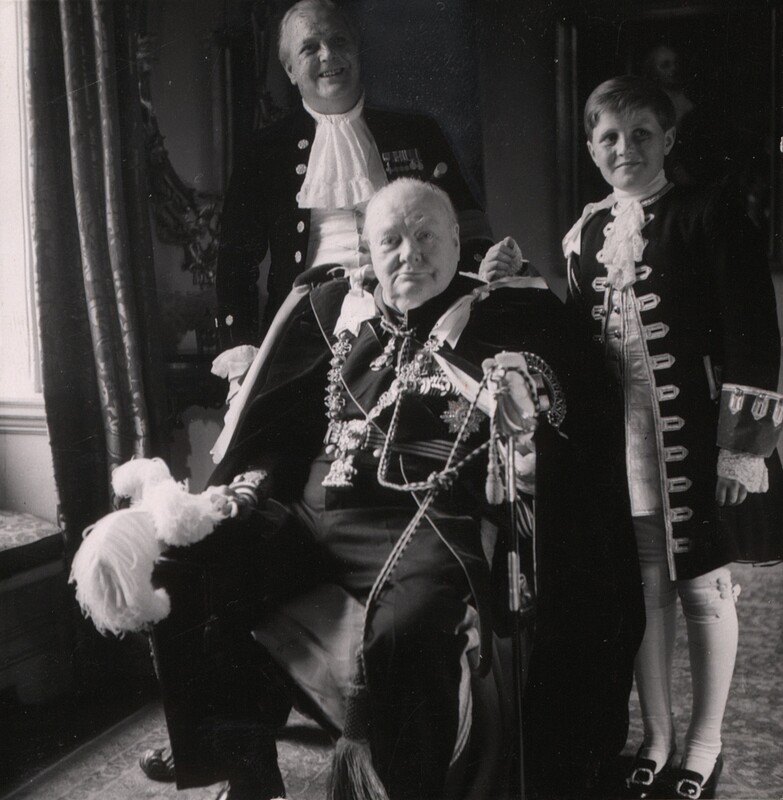 Another tidbit that Maier explores is that of Churchill’s health that resulted in two heart attacks and the belief that his son Randolph who surprisingly exhibited tremendous courage despite his reputation needed to be kept in a safe area as not to overly stress his father, since the Prime Minister was a key to holding out against the Nazis until victory. Maier provides the reader with interesting portraits of a number of important historical figures. Chief among them was Max Aiken, or Lord Beaverbrook, a close friend and companion of Churchill, and the senior Kennedy, who at times professed his own agenda. Other portraits include; Clementine Churchill, the spouse of the Prime Minister, as well as Rose Kennedy. The English writer Evelyn Waugh, the financier and FDR confidant, Bernard Baruch, Clare Booth Luce, Kay Halle, a beautiful Cleveland journalist who worked with William Donovan at the OSS and at one time was the paramour of Randolph Churchill, George Gershwin, Averell Harriman, the columnist, Walter Lipmann, and Robert F. Kennedy, among others. FDR and his advisors, particularly Harry Hopkins are portrayed fairly, as are certain important members of the British parliament. Overall, Maier’s portrayals captures numerous individuals, and the author is even handed in his approach as he presents his breezy narrative. Maier’s writing is easy to follow and each component of his story seems to flow into the next in a pattern that maintains the reader’s interest. 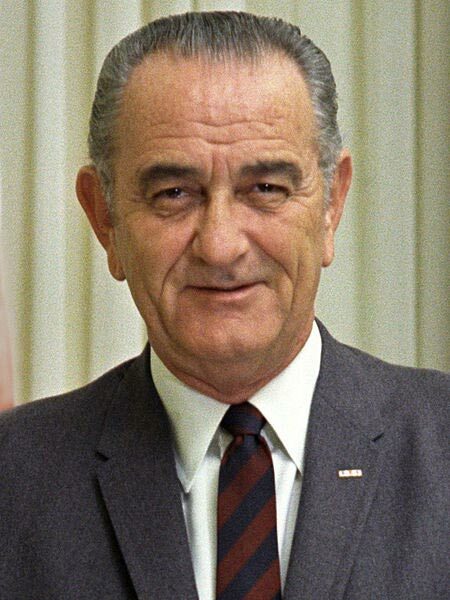 His story is carried into the 21st century following the death of Senator Edward M. Kennedy, as Maier repeatedly seems to conjecture as to what might have been. Whatever the case, Maier’s work is quite appealing and should interest those who have questions about two remarkable political dynasties.